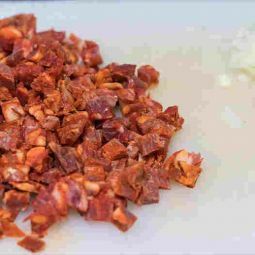 Our Wild Pig Chorizo, from Andalusia, has a lot of character. 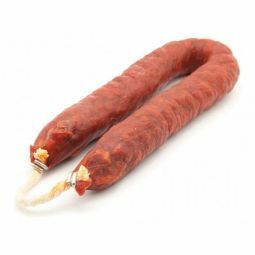 This is one of the best products from the South due to the typical taste, the reddish colour and the perfect air drying. 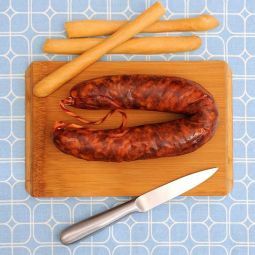 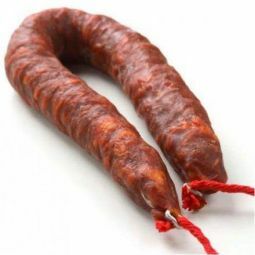 Our Wild Pig Chorizo, from the Sierra Andujar, Andalusia, is a high quality product. 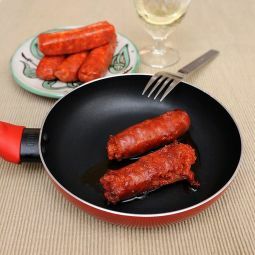 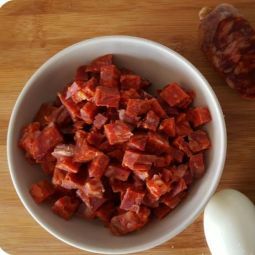 The spicy sausage, with character, is one of the best products from the south of Spain due to the typical taste, the reddish colour and the air drying. 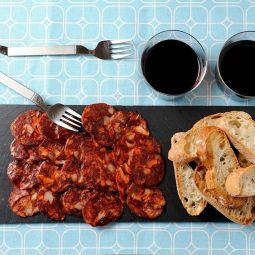 This classic Wild Pig Chorizo is made out of the best meats: game meat and pork. 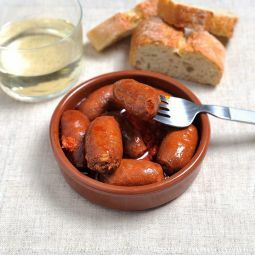 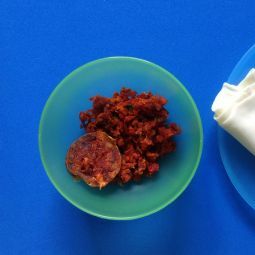 By adding cayenne pepper (pimento) the sausage gets the typical spicy taste and the characteristic reddish colour. 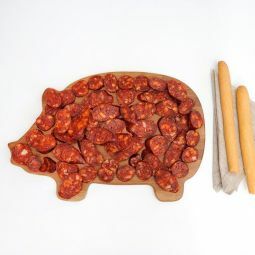 Enjoy the juiciness and the fine taste of our Wild Pig Chorizo. 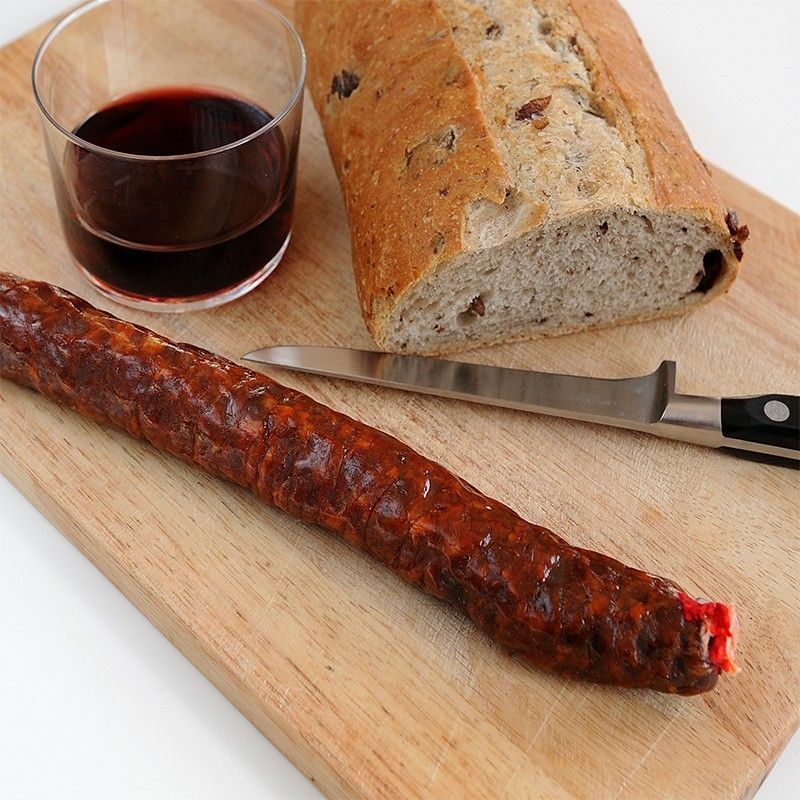 In our opinion, it is the ideal snack.